“Give the girl with a bad hair day an iced coffee, no matter what she asks for. I’m not the type to argue over something trivial like a misheard coffee order, so I just shrugged and meekly took the coffee. 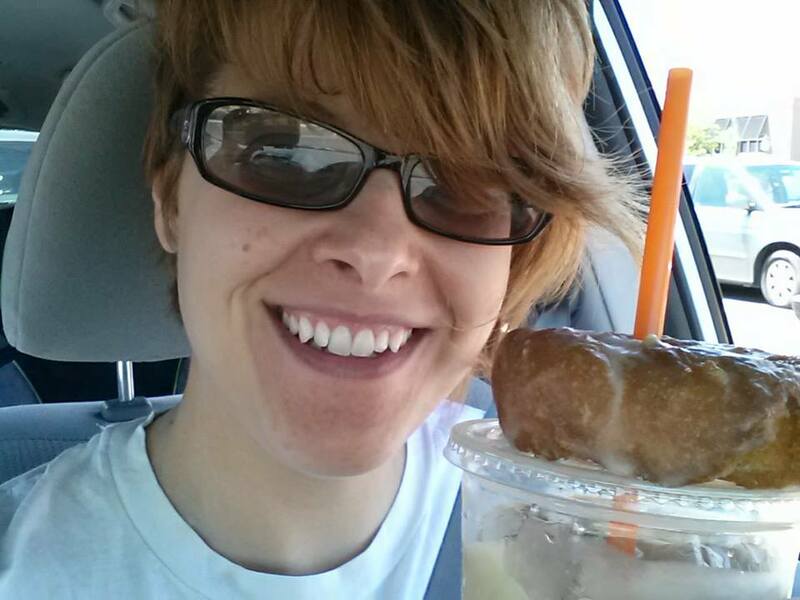 And then… as I sat in the parking lot biting into a warm, freshly made sour cream donut, with the windows down, the sun shining warmly on my shoulder as a cool breeze ruffled my hair, I took a sip of the cool creamy refreshing iced coffee and felt a stirring of the soul. Thank you, mysterious psychic donut lady. You were right. Thank you, intrepid donut servers of the second great war, for your contribution and bravery, and for making this story possible.